Blog Quick Quotes: Giveaway and All New CHA Sneaks! Giveaway and All New CHA Sneaks! Who loved the Dreamscape Sneaks? If you loved the projects for Dreamscape, we have a treat for you... Here's the line in all of its glory! Are you in love? Would you like to win a collection for your very own??? You'll want to be sure to check us out over on Facebook too! We are counting down the days until CHA on Facebook... with giveaways of course (2o days of giveaways to be exact)! You could be the next very lucky winner!!! Quick Quotes will be introducing over 50 new products very soon and we are celebrating! The CHA Sneak Preview Fun Continues! Say Hello to "Summer Samba"!!! We promised you even more CHA Sneaks with Spellbinders goodness! Adora and Lisa are hosting the blog today with some fabulous and clever inspiration for you!!! So are you ready for summer yet? It's Adora here and we are ready here at Quick Quotes. Again, I feel so lucky and happy to work on this brand new – to be released “Summer Samba" collection. I love the bright and illuminating colors; it’s all about summer indeed! This layout I created of my Hubby and Son just enjoying and trying to be cool on a hot summer day. 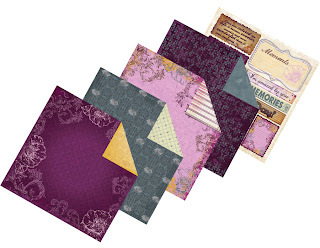 I am also loving the Spellbinder Wonky Rectangle dies, seriously I can use it on all my projects. I sprayed the background with a little Glimmer mist by Tattered Angels and stamped by Pink Paislee. Lisa here with a fun, double-page layout I created with the newest paper line from Quick Quotes - SUMMER SAMBA. I love all of the bright colors. They made the perfect background for my son's first flying trip with daddy. He came prepared with his pilot's notebook, headset and sunglasses. He had a great time from wheels up to wheels down and can't wait to go again. I changed the title by adding an 'L' to make it 'ALTITUDE' :) This also shows the distressing of my blue and red papers, as well as, my Spellbinders Creative Page Tabs up close! 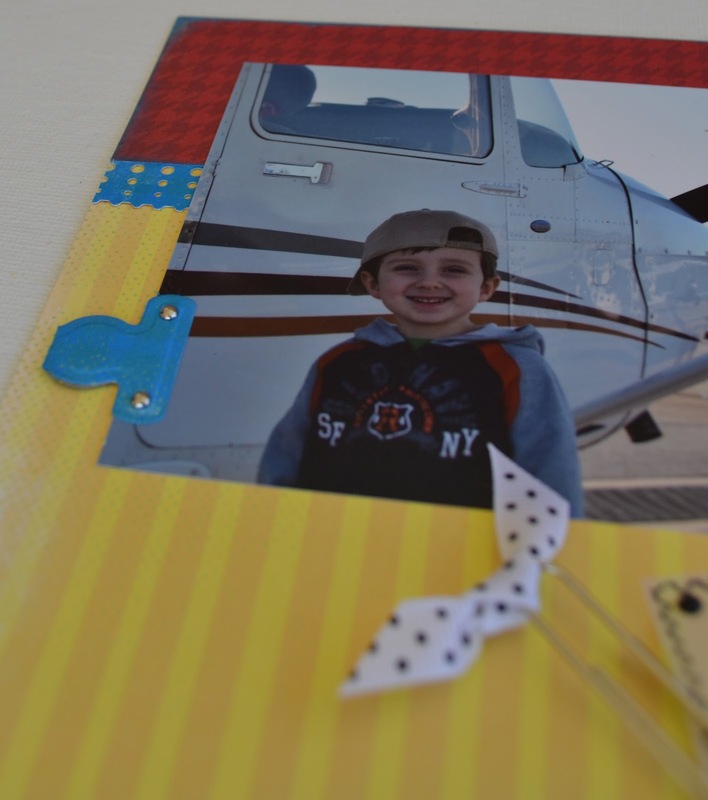 I used my die cuts to make decorative tabs on some of my photos. What a wonderful introduction to Summer Samba! Thanks ladies!!! Wow...I love the colors. Thanks for the opportunity to win. I am a new follower of your blog and I love Quick Quotes paper. Thanks for the chance at the giveaway. What a beautiful line...such gorgeous colors! I love all these layouts. Thanks for the giveaway too. Dreamscape looks fabulous and I really love the bright colors in the Summer Samba line! I love the colors in this line-Great Layouts! Thanks for the giveaway... I look forward to seeing the new releases, but my husband always dreads it. This is the time of year the credit card gets a workout! Love the colors in Dreamscape. Thanks for a chance to win! This time of year is so exciting,....CHA sneaks...woooot!! Dreamscape is so Gorgeous. I would love to win some. Adora and Lisa beautiful layouts with the Summer Samba. I love the colors, the flowers and the zig zag paper. Thanks for sharing this beautiful paper and your talent. Love the purple and the patterns! Hope I win!!! Yep, love the new Dreamscape line!! What a gorgeous paper collection!! I bet it's even prettier in person!! I love the paper colors! Fabulous! Thanks for the chance to win! The colors are gorgeous! I'm so excited for the new releases. The colors are just so happy! Very excited with the new line that is coming out. Thanks for the opp to win. Thanks for another opportunity at your givaway. Thanks. beautiful papers. thanks for the chance to win. Great colors and great giveaway! Dreamscape is my favorite! But...oh, we haven't seen them all...yet! Like the papers & layouts. Especially like the airplane layouts. Thanks for giveaway chance. I can't wait to get this paper! I so love Quick Quotes! Love this paper it is so rich looking. I would love the chance to win it... thank you again Quick Quotes you rock. I love the Dreamscape papers. The colors are so rich and gorgeous. I would love to win this paper pack; thank you for the opportunity to win. Oh, my! I love the Dreamscape line even more now that I have seen the entire collection! So pretty and feminine with just the right amount of romantic color. I'm also liking the sneaks to the Summer Samba papers! So far, these two sets are exactly what I was wishing for... more color! I'm on Cloud 9 and I'll bet QQ gets a lot of attention at CHA! Sure wish I was going so I could see these new products in person. I love this! Fingers crossed. Wow! this is my first time to heard of this company and product and I definitely loving that collection. cant wait for my kit!!! I am in love with Dreamscape!! I love all the hues of purple, so beautiful!! Thanks for the chance!! Thanks for a week of wonderful sneak peaks, projects & giveaways! Following your blog & a huge fan on FaceBook! Love the sneak peeks!!! Love the Dreamscape collection for sure! Would love to win! I would love to be able to share the Dreamscapes collection with everyone at the store for which I design. Thanks for the chance to win. Loving all the sneak peeks and would love to go to CHA but not possible. Thank you for a chance to be involved and win great paper! Love it Love it Love it! When you think it's not possible there you go again. Another reason to spend on more QQ products! You got to love this addiction! haha. Oh how I love it all!!! Fingers crossed to win! Thank you so very much for all of the inspiration with it! Lovin' the amazing purple colors. (My daughter's favorite color. ). If I win this these papers will go to her to enjoy. 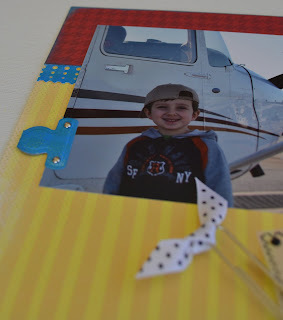 Great spellbinders projects. T.F.S. I love the Dreamscapes paper. Glad I found your blog for all the inspiration and the chance to win. Fabulous papers quick quotes! Would love to win these! Beautiful projects ladies! Lisa...I LOVE how you changed that title with one little letter...CLEVER GIRL! Adora, your style always ignites my creativity! Beautiful job both of you! Love these projects and love the colors! Bright and bold and so much fun! Of course, I'd love to win Dreamscapes. Thank you for the opportunity to enter! I love seeing the versatility of Samba, too! Love the Samba...Dreamscapes is beautiful,too! Thanks for the chance to win!